Argentina has no 'rights' - period. Argentina never had any rights to the Falklands. Argentina's spurious claims are based upon a mythical inheritance. The thief claiming to be heir. Revolutionaries emancipate themselves, they do not inherit. As for negotiations; we talked already. We negotiated for nigh on 17 years before Argentina chose war as an alternative to talking. Trial by combat. Argentina lost. There is nothing left to be said. The Argentinian record in respect of the Falklands is simply appalling. Do they actually know anything about what responsibilities come with sovereignty? Argentina is like a young child, I want,I want is all they scream.You lost the WAR in 1982 so just get over it. Yadda, yadda, yadda - boring. in 1764, which recognized the rights of Spain, restoring the settlement to her, whereby the effective Spanish occupation antedates the British presence. The latter continued during the eight years when the English were in Port Egmont and afterwards. Wrong again Malvinense 1833. Davis remains the first confirmed sighting. All the claims for Spanish discoverers have been debunked, and - in reality - the first Europeans to see the Islands were most likely Portuguese. But they didn't put their hands up. However, Davis remains as the first confirmed and recorded discovery. First claimant was Hawkins of course, but then Byron reclaimed (on the basis of Hawkins) in 1765 and Macbride settled in 1766 - and the rest, as they say, is history. I'm sure that I've told you all this before - weren't you listening? France's 'effective occupation' was only on East Falkland Island. France did not recognise Spanish rights, as only Bougainville signed the receipt for the money and he did not hold a Government position. Spain was unable to gain effective control over the western islands and - as a result - only claimed East Falkland when the Spanish garrison was withdrawn in 1811. Spain maintained its claim to the Island until 1833 when Britain annexed it. Spain did not protest despite confirming its claim to the USA in October, 1833. Argentina was never in the game. Have you got it now Malvinense 1833 - or do I have to repeat myself ad infinitum? showed negative facets: it was illegal –since it violated existing treaties; it was clandestine, that is, it was kept secret until the Spanish found out about it; it was belated, because it took place after the effective occupation of the French who handed it over to Spain; it was challenged, because Spain resisted it and made an express reservation in its regard; it was partial, because it only applied to Port Egmont whilst Spain possessed Port Soledad and the entire Archipelago; it was fleeting, for it only lasted eight years; it was precarious, for after 1774 it was no more. On the other hand, while the Spanish occupation preceded the English, it coexisted with it without disturbance and outlasted the abandonment by England. The 1833 British arguments only serve to cloak a clear fact: the use of arms against a new nation that possessed the Islands by virtue of its rights as the Heir to Spain, rights which were unchallengeable. Bougainville delivered the establishment by order of the King of France, therefore it was an act of government. LOL Repeating the nonsense made out by two lawyers are you Malvinense 1833? The English occupation involved 100 settlers and was leaked by the Gazette de Hollande - the tittletattle newspaper of its day. So everyone knew. Byron's mission was a secret, but that was for the other reasons that he'd sailed. His only job in the Falklands was to get an impression about whether they were worth the effort. Secret stuff was for later. Spain certainly did object to the British presence, and 'usurped' us. They then backed down in the face of a war that France would not support them in (hardly surprising as France had been strong-armed out of its settlement by the Family-Compact). So we went back. Yes, Britain withdrew its garrison in 1774, leaving its claim to West Falkland nailed to the door of the blockhouse. In much the same way that Spain would leave its claim to East Falkland nailed to the Church door on Soledad in 1811. Spanish occupation did not precede Britain's. In fact Spain came in a poor third. France - 1764. Britain - 1766 and Spain-1767. Spain took no settlers, just a garrison. After 1774 Spain - which only confirmed that we had gone in 1776 (too scared to actually sail in and check) - maintained a watching brief on Egmont. The most telling fact is that Spain never - let me repeat that - NEVER, raised its flag over West Falkland. The single most important act in the game of sovereignty and Spain did not do it. Why?Because they always knew that we'd be back. And we were. Remember, Spain only claimed one island in 1811 - in recognition of the 1771 accord. By the by, have I ever mentioned that Argentina is not Spain? As for your last paragraph. I have recognised that Davis was not the first discoverer - but pointed out that he was the first RECORDED discoverer. That's the one that counts. (ii) Argentina does not have anything to put before an international court. Have I ever mentioned that Argentina is not Spain? Bougainville acted with the authorization of the government of France, therefore its mission had official character. He was Colonel of the Armies of his Majesty and Governor of Malvinas, therefore its signature has governmental character or of government. (It is official and represents the King). Bougainville´s formal recognition that the settlement had been established in Spanish territory, and that its cession had been voluntary, was both express and manifest. France having acknowledged the Catholic King´s right to the Malouines, he, by a principle of the law of nations, owed no reimbursement to these costs. However, as his majesty took all the ships, boats, goods, arms, ammunition, and provisions that belonged to our settlement, he being equally just and generous, desired that we should be reimbursed for what we had laid out; and the above sum was remitted to us by his treasurers; part at Paris, and the rest at Buenos Ayres. Furthermore, Choiseul´s comments to the British Ambassador in Paris demonstrate that not only did France recognise Spain´s pre-existing sovereignty, but that it also informed the British government of it. Again, the British government did not raise any claim of sovereignty in the circumstances, which proves it either did not consider itself sovereign, or if it did, it was abandoning its claim against third States. Las Falklands eran, son, y serán británicas. Que los argentos se acostumbren a la realidad. But do try and live in the 21st Century which is where we are today! The days of old fashioned Colonialism by Governments forcing their laws and control over peoples of other lands - has long gone. except of course that this is just the type of old fashioned Colonialism that today,s Argentina would like to impose on the people of the Falklands Islands who have been here for generations and forced no indigenous people out in the first place..
You can wrap it up in as much Argentine B-S as you like - but you lot want to take us over - full stop. Your rule and laws and law would be the the ultimate authority - and we do not want it and have made that very clear at a freely help democratic referendum. get over it - you tried in 1982 - and lost FULL STOP end of. The Republic of Argentina signed the UN Charter on 26 June 1945. Under the UN Charter the people who live on the Falkland Islands have the right to choose for themselves who governs them and to whom they freely give their allegiance. As previously stated the only Court with jurisdiction to determine sovereignty disputes is the United Nations International Court of Justice (UNICJ) in den Haag, Netherlands. B. Pascoe and Pepper acknowledge that England did not discover the Falklands/Malvinas? I recall you told us recently that no credence should be given to Messrs Pascoe and Pepper but now you are quoting them in defence of your nonsense. ¡BOBO! Argentina has said the same thing about the Falklands every year for the last 35, and nothing has changed or is likely to. I'm more interested in the other two items. On the AMIA bombing, Macri cancelled CFK's MOU, which probably means a return to the status quo of Argentina demanding extradition and Iran refusing. There is unlikely to be much progress. As for Venezuela, look at who was at the dinner meant to address the situation: Trump, Temer, Juan Manuel Santos and Juan Carlos Varela, as well as Michetti representing Macri. What they have in common is that all belong to more or less right-wing parties, and none have ever been allies of Chavist Venezuela. Why didn't they invite some of the more left-wing leaders who are current or former allies of Maduro, and might have some influence on him, like Morales, Moreno, Vasquez or even Bachelet? The guest list seems designed to stoke Maduro's fears that other governments are plotting against him. @ Islander1: The only colonial country is the United Kingdom that usurped the archipelago to the Argentine Republic, still maintains colonies in the rest of the world. That is why I agree with you on this: The days of old fashioned Colonialism by Governments forcing their laws and control over peoples of other lands - has long gone. This perfectly describes the action of the United Kingdom in 1833. I say: The people that existed were the Argentine people, the islanders that existed were the Argentines. And the British forced the Argentine people to leave. When this happened there were no British islanders. And Marti ... Marti is a new Chilean islander who asks for self-determination !!! gordo1: You act like a teenager. Of course I said no credit should be given to P & P and your words nonsense. Because they use true historical data with false ones to confuse or lie. One example that comes to my mind: Laztina maps. And quote them just because not even they, with their fallacious data, can lie at that point. They found absolutely nothing to deny that the Spaniards were the first to discover the Malvinas Islands. Can you understand this Mr. gordo1? Mr Malvi you truly have been indoctrinated haven't you ? You the Argentines invaded a peaceful community on the FALKLANDS and got your arses kicked. You have the gall to come on this forum and try and lecture us on ethics. You are out of your tiny mind. No wonder no-one wants anything to do with you as you twist the facts to suit your particular agenda. You do realise that by going to war and actually still celebrating it is abhorant to most civilisesd people. YOU LOST THE WAR so get over it. Bouginville represented the St. Malo Company, and had no title to represent France. As for France's recognition - in 1801, France demanded an establishment on the Falklands from the British. Not from the Spanish, from the British. And Bougainville appears to have renounced any recognition he had given in his letter to the French government of the year before. As I keep telling you Malvi - relying on two lying lawyers will get you nowhere. Nothing was 'usurped' from Argentina as Argentina was never in the game. And modern day DEcolonization requires the views of the people to be met. So said the UN. The Spaniards were not the first disoverers, that much is plain. What Argentine people did the British force to leave the Islands in 1833|? Your own National Naval Archives list the names of the Militia and their families of the States of the River Plate(don't forget Argentina did not exists then) who were indeed ordered to leave. In those Archives - as in the British Royal Navy Archives - you will also find the names of the CIVILIAN people (who had been in the Islands for not more that a few months or a couple of years anyway)who were invited to stay by the British - but declined to do so(2 couples-one from Brazil and one from Uruguay) - and also the list of names of all those others who voluntarily accepted the British offer to stay and did indeed stay on and accepted British rule. The last survivor of these - and Argentine (River Plate States) lady finally died here in 1865 and you can find her grave in Stanley Cemetery. So sorry that you and your people have for so long been fed a string of lies by your Governments about clear proven historical facts. I recall that in the 1860s your ancestors did not offer the same options to the people who had indeed rights of origen - in Patagonia? - No you simple externminated them in a war of genocide - and those murdering generals even today can be found on memorials in town and city squares in Argentina! The only colonial country is the United Kingdom that usurped the archipelago to the Argentine Republic, still maintains colonies in the rest of the world. BOBO, otra vez! Kindly name those (British) colonies which you allege exist in the rest of the world bearing in mind that Argentina wishes to colonise the Falkland Islands! How about some of Bougainville's own words from his letter to the French Foreign Ministry of March 19, 1801? Go and ask the Mapuche and the Qom and all the other indigenous people why it is ok for ethnic Italians to live in mainland Argentina but it is not ok for ethnic Brits to live on those islands (where, incidentally, there was no indigenous population). Any action carried out by Britain in the 19th century would have been perfectly legal under the laws of conquest. There was no such thing as 'usurpation' back then. At last count, Britain had 15 colonies or dependencies. How many or all of these should be given self-determination against their will ? Most of them would not survive without British aid so what is your solution from an anti-British Argentine viewpoint. Should they be decolonised against their will ? Quoting ancient history about usurpation of Argentina's sovereign land is rubbish. I may as well have a go at the Norse Vikings, Anglo Saxons,Jutes , Normans for usurping territory from the ancient Britons. Is Argentina not large enough for you that you want a chunk of the S.Atlantic islands and Antarctica to balls-up as you have with your own country-usurped from it's indigenous population ! And then there was the matter of Argentine colonisation or usurpation of territories belonging to others. In 1883 the Argentine government created the  Ley de Fundación de Colonias primarily for colonisation of the patagonia. It's high time for Argentina to return to the rightful owners the territories that it usurped. The Desert Campaign started at the end of 1878 and ended in 1880, resulting in 1313 indigenous dead and approximately 11.000 prisoners. The figure of 60.000 indigenous dead that Pascoe and Pepper attribute to Roca is incorrect. It is estimated that this is the total figure from 1820 until the end of Roca's campaign, with a similar number of men, women and children dead or enslaved by the indigenous populations. The Argentine State did not conduct a campaign of extermination of the native populations. It had the support of various native communities, such as, among others, the Northern Tehuelches (Pampas, Hets), the Andean Northern Tehuelches (Puelches) and the Araucanian Northern Tehuelches (Querandies), the Boroanos that sought to fight against the attacks of the Araucanian tribes. The main chief of Eastern Patagonia, Casimiro “Biguá” Fourmantin, had been appointed Colonel of the Argentine Army. Biguá, together with five chiefs of other indigenous clans meeting in the Genoa Valley (Province of Chubut) formally recognised Argentine sovereignty on November 3rd 1869, when the Argentine flag was raised and the indigenous chiefs swore allegiance to it. Argentine history shows that the native populations were considered part of the Argentine people. The Independence Act 1816 was published in Spanish, Quechua and Aymara. Even the contact of native populations with the Falklands/Malvinas begins with Argentina. Pablo Areguati, appointed Commander of the Malvinas in 1823, was Guarani. In 1829, Luis Vernet, Political and Military commander of the islands, invited and received the Techuelche chief Maria la Grande (the Great), “Queen of the Strait”, in Port Soledad. It may be worth recalling a point related to this subject that the writers of the pamphlet do not mention, but cannot ignore. The extinction of the Onas (Selknam) in Tierra del Fuego can be for the most part attributed to men such as Alexander McLennan (Scotland), Alexander A. Cameron (New Zealand). If there are no written records, how do you know that Spanish navigators first sighted the Falklands? Are you suggesting there were no British ships in the South Atlantic that sighted or landed on the Falklands? You cannot succeed in airbrushing British ships from the area. You seem to suggest that the South Atlantic was a no go for British ships. I'd like to remind you that the British did not accept the Pope's carving up of the world, and if there was no one stopping them sailing the South Atlantic, or the Pacific or anywhere else, then they had a right to be there. So there were no British personnel at Port Egmont of Welsh, Scottish or Irish extraction then? Only English? The British voluntarily abandoned Egmont (settlement ) in 1774. However, British ships continued to sail around West Falklands, surveying. Why were these not challenged or indeed stopped from surveying by Spanish ships? You don't mention here that the Spanish also voluntarily abandoned Port Louis in 1811. You do not mention any Argentine settlement from the period 1764-1811. To repeat, Spain is not the same country as Argentina. What is certain is that it is Argentina claiming the Falklands now, and Argentina certainly did not discover the islands. France is not Argentina either,, indeed Bougainville knew about the Falkland Islands due to British maps of the South Atlantic not French maps, not Spanish maps and certainly not from Argentine maps. We tend to view the word 'abandonment' in rather more final terms these days, whereas it once only meant to leave uninhabited. A cessation of care. What it did not mean was that we were forgoing or relinquishing our sovereignty our sovereignty. Hence the lead plate and flags left behind. The Spanish had left iron crosses all over South America to identify its claims; the French metal plates over parts of Canada. Such signs of sovereignty were the accepted method of informing others that the land was claimed. 1833- 1834 Rosas emprendió una campaña contra varios grupos indígenas = Campaña de Rosas al Desierto. El informe que presentó Rosas al gobierno de Bs As el saldo fue de 3200 indígenas muertos, y 1200 prisioneros. Dic 1878, Lihué Calel: 50 indígenas muertos, 270 prisioneros. Levalle y Freire : más de 200 indios muertos. Oficiales Nelson, Sosa, etc más de 400 indios muertos, mas de 4000 capturados. Abril 1879: 1313 indios muertos, más de 15.000 capturados. 1881, primer semestre: 85 indios muertos. Nov 1882 a abril 1883: 3 brigadas de gral Villegas: 365 indios muertos, 1400 prisioneros. Más los que murieron en los traslados de prisioneros. There presently 14 British Overseas Territories and zero colonies. Malvinense 1833 is totally fact resistent. He keeps blabbering about some pamphlet or other, although he has been directed to official documents archived in 'Archivo General de la Nación' in Buenos Aires. Do tell us, Malvinense 1833, were you born stupid or is your stupidity the result of long studies? The Mapuches are in the news because they have been protesting and because of the guy who disappeared. How are those other groups you mentioned doing, the Tehuelches, Puelches, Querandies? Better, worse? Does the current Argentine government still publish acts in the native languages? I think he must be some relation of Marcel Kohen. Perhaps he is Kohen himself using an alias to post here. Anyway, it's all a lot of false rubbish! If there are records, and those records are the maps: examples Andrés de San Martín 1520, Pedro Reinel 1522. There are no British maps of previous or same period. A Spanish ship (Incognita) landed and spent several months on the Malvinas islands in 1540. You know very well that the presence of fishing vessels does not constitute sovereignty, otherwise countries currently fishing with British license would have the right to claim the islands, this would be absurd. The Spanish ships stopped the British ships that were fishering furtively in waters of the archipelago. The Spaniards left Puerto Soledad for the independence struggles that were unleashed not only in Buenos Aires but throughout America, when Spain left the islands, there was no foreign population in the islands, unlike the British abandon that left the islands with a Spanish population in the archipelago. Despite remaining uninhabited, the new Argentine government carried out sovereign administrative acts related to the Malvinas. Is it not surprising that in spite of the Spanish abandonment the British government did not claim its sovereignty over the islands? In the period 1764-1811 there was no Argentine settlement in the islands for the simple reason that Argentina did not exist, Argentina is born on May 25, 1810, however by the principle of uti possidetis the territory that belonged to the old Spanish colony happens to the new state: Argentina. The islands were under Spanish administration as were the rest of continental Argentina.Neither at this moment the British government made a claim of sovereignty over the islands. The fact that Bougainville has used British maps for navigation does not change the discussion of sovereignty at all. 1) Incognita is a name made up by Geobel for his 1927 book. All the evidence points to them being on one of the islands near the mouth of Magellan's strait. 2) Licensing British ships to use Egmont does constitute sovereignty. Also Spain's inability to prevent British and American sealers is clear evidence of their failure to extend their 'effective control' over the western Islands. 3) When Spain withdrew its garrison in 1811, it claimed only one Island, that of Soledad. Spain confirmed its claims to the US in October, 1833. After the British ejection of trespassers from BA. Neither Spain's not the British claims had lapsed and no, BA did not carry out any sovereign administrative acts before 1829. Indeed, BA was never in the game. 4) Surprising? We confirmed our sovereignty - in 1829. We'd already claimed them in 1765. 5) Argentina claimed its independence only in 1816. Argentina ATTAINED independence somewhere between 1825 and 1863 depending upon which criteria is applied. UPJ was an agreement between Sth American states that came into effect after 1848. It has no applicability to the Falklands and remains unrecognised by Britain. 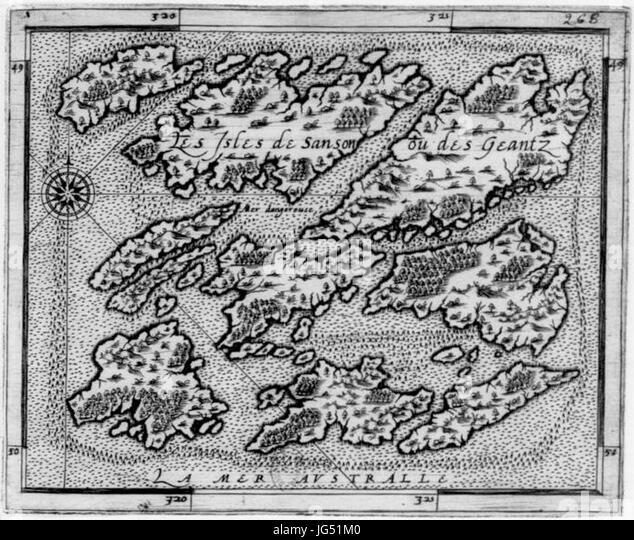 6) With no clear evidence to the contrary, Davis remains the first European discoverer of the Islands. Please come here with REAL evidence NOT conjectures! Complete nonsense, as sealers and whalers - both American and British - fished with impunity around the Falklands archipelago with Spain unable to exert any control whatsoever. Spain could not even control them in areas supposedly firmly under its control. Are you not aware of the 1792 Puerto Deseado incident where, following the Nootka Sound Convention, two British ships defied a Spanish ship of war and continued to take seals regardless of the orders being given. The Spanish ship backed down. Try reading some other authors than Kohen & Rodriguez Malvinense 1833 - even some of your own. Some British online commentators consider the activities of British fishermen during this period to be acts of sovereignty. The activities of private persons are not manifestations of sovereignty. International jurisprudence is absolutely clear in this regard: for example, the arbitrator in the case of Isla de Aves considered that the activities of the inhabitants of the San Eustaquio y de Saba Islands, who would visit the disputed island to fish for turtles and gather eggs, to be irrelevant. If the activities of fishermen and hunters should be considered sovereign acts, the United States and France must also be considered to have performed sovereign acts over the Falklands/Malvinas, which is absurd, especially when the Spanish government carried out enforcement actions over these activities in the entirety of the archipelago. It's over, Marci. Lo que hicieron los dinosaurios ya no nos importa. The Falklands are British and will remain that way. You can stop the weeping anytime. Whats important is what the UK considers important not what you attribute to unnamed persons. “The(Spanish) order issued in 1774, London had already verified Britain´s withdrawal” Claimed by Argentina but refuted by the UK’s own archive’s. What is the definitively binding declaration that is the repudiation of Spain in the Anglo-Spanish Declaration of 1777. Which regardless, Argentina has a mere unsupported spurious claim under international law which is why she will never allow the ICJ to have jurisdiction. Even more distrust existed after new hostilities broke out between Spain and Great Britain in 1796. The Governor of the Malvinas, in an order dated August 1798, is instructed how to act in case American or British ships are found at Port Egmont or the surrounding areas. The instructions establish that in case any ship of those nations is found at anchor in the port “preparation for combat will immediately be made” and “licenses and logs will be registered” and if they are proven to be American, Your Excellency will prudently and civilly order them to retire from the port belonging to His Catholic Majesty within 24 hours [...] If any British fishing vessel were anchored [...] you shall request their surrender and if they do not abide by the His Majesty´s order, you will position yoursOelf suitably [...] [and] you will open fire. nce again, the fact that Spain considered itself sovereign over the whole archipelago, including Port Egmont, is well documented. This note is also useful to show the difference between the treatment of official British ships and private vessels, and how the latter could not be considered to be performing acts of public authority. End of the British lie with the fishing vessels. @ Marti Llazo: The islands are not British, they are de facto occupied. It seems to me that each time the Argentine ALLEGED details and claims are revealed here by Malvinense 1833 - with no reliable backing proof - and are then refuted by way of HISTORICAL details and totally reliable proven sources then the Argentine claim becomes even more diminished that it already was heretofore. So why does he bother? ¿Ganas de joder? José María Ruda - ¡siendo argentino su opinión no vale! Y en vista de que Argentina definitivamente no heredó el archipelago de España mucho menus. Malvi - orders is one thing, carrying them out is quite another. Nothing changed. British & American sealers & whalers carried on as normal. In fact there were so many American ships at New Island, that England feared the USA would make a claim to it. Orders have no meaning, if they don't get carried out. Los actos de guerra no son actos de soberanía. And for the record, Spain neither discovered the islands nor settled them first. Spain always arrived too late. Argentina was even later. Have I mentioned that Argentina is not Spain? How does it do that? It only mentions fishing vessels and not naval ships? I thought the point of these fishermen people keep bringing up was not that they gave any kind of sovereignty to Britain (or the US), but that their presence showed Spain did not have effective control over the islands? Is that not correct? Why oh why do you keep going on and on and on and on and on and on and on and on and on and on and on and on and on and on about things that may or may not have happened 200 years ago. Who gives two funkies mucks about whether Fred and his mates were ordered to get really, really, really cross with a British fishing boat. Most of us (yourself excluded of course) live in the 21st century and we all (again yourself excluded) know that the Falkland Islanders have the RIGHT to SELF-DETERMINATION. Your opinion and that of other Argentines is neither relevant nor of any interest to anybody except yourselves. You're on-going mental masturbation just makes you blind to the obvious. Spain did not discover the islands just because you say so? Did not he see the maps? Did I mention that the present Argentina belonged to the Spanish state? Not only in times of war, too in times of peace. Accept the cold hard light of today's reality. The Falklands are resolutely British. These men and women are ready, willing and able to hear your case at any time. Like that Chinese fishing boat you sunk last year? Congrats on that by the way. But then why does Argentina complain that Britain is militarising the South Atlantic? to blether on -and - on as Darragh succinctly put it ! I agree the discussion has become sort of circular, but that seems a bit unfair. Don't Roger and Terry also like to debate this old historical stuff? They obviously think it matters. “The English occupation only showed … it was illegal” Since the Peace of Utrecht and Nootka are the binding Spanish-Anglo treaties. Show where the UK actions are illegal, should be a breeze if your correct. It is true, we are in the 21st century, so why the refusal of the UK to establish talks to settle the dispute? Denying that the problem does not exist does not make the problem disappear. Denying a problem or avoiding discussing it is not typical of a 21st century civilization. There are civilized means to do so: arbitration or International Court of Justice. They travel to the islands young students and deny them the contact with other young people, of their same age, islanders. Is this attitude typical of a 21st century civilization? There are many good people on the islands, and in spite of some groups, contact between people will sooner or later be established. No doubt in my mind that the whole population of Argentina is indeed delusional....! You must have an opinion. Why do you think the UK won't talk to Argentina? Why do you think the islanders don't want any talks on sovereignty? What was that about young students being denied contact? There is no problem to deny exists Malvi. The question was resolved long ago. We discussed. We talked. We negotiated. We even invited Argentina to go to the Haig over the Falklands (Briefing by the Honorable Alexander M. Haig Jr. Secretary of State before Key House Leadership and House Foreign Affairs Committee – Room 2172, Rayburn Building, Washington DC 4/29/82) and South Georgia/South Sandwich (1947 to 1955). The matter was settled when Argentina stopped talking and chose a trial of strength instead. We have now finished talking. Nothing remains to be said. Nobody denies access by foreign students to the Islanders. It is up to the Islanders who they wish to speak too. In a civilised world, that is their choice. Why would they wish to speak to people who would want to steal their land from them? Why do you think you have the right to impose your views on the Islanders? The only people with real rights in this situation is the Islanders. That sounds pretty crazy. Did they not try to arrange something in advance? Or did they try, but were rebuffed by the school? Malvinese - ARGENTINA is a Spanish COLONY. YOU are a coloniser, a Squatter, an Imperialist agressor.. whatever term you want to us against the British, YOU are the same. FCOL, do you know NOTHING of your own history? By your own argument, you have absolutely ZERO rights to be anywhere in South America - its indigenous population have imprescriptible rights to be there, YOU don't. Sort your own country out first, then you can try to claim the high-horse. Got me Haig's and Hague's confused there. It is early. Demon Tree - as I understand it, they just turned up, with video cameras. I gather another bunch are due soon. This is an annual event. I suspect the Islanders are just damned tired of it. Why would they wish to interrupt their lessons? School children probably shouldn't be debating such a contentious issue when it directly affects them, anyway. What were they hoping to achieve with this? It is all political. The Argentine Malvinistas (hard to say 'government' with the current regime) have concluded that they need to skip the older generations as they are too biased against an accommodation with Argentina (being invaded can do that). The idea is that the younger generation will be more amenable if they can get to them early. You can see what that is about. Why would the UK bother when they Know that Argentina has irretrievably lost any entitlement to a legal claim. As she is now estopped, by her failure to bring the issue for a legal determination in sufficient time. The islanders do not want sovereignty talks because they are afraid. They are afraid of change and that is logical and understandable. A hypothetical change of sovereignty generates uncertainty. In their place I would feel the same. Anyway you can reach some kind of agreement. Even shared sovereignty is possible for the tranquility of the islanders, Argentina is compensated and solves the problem for everyone. I think that would not be a problem since in Argentina there are British communities and live here without problems, even Princess Diana visited some of them. Everything is possible when you have the will. I do not understand why they all see it as a publicity stunt or with bad intentions. The young people work very hard to get the funds and to travel to the islands. There is a group that traveled and was willing to meet with young people from the islands outside of classes, so as not to interrupt them. They are willing to talk, to know them. They also want young islanders to know their homes on the continent, a simple student exchange. It's ridiculous. Just by taking video cameras, cameras and registering a new place, new people? When you travel, do not you have video cameras? But there are many people who see everything with the eyes of politics and are very intransigent. Roger Lorton and many others are afraid of human contact, something that will happen sooner or later. “Argentina is compensated and solves the problem” Nonsense as it is legal rule that no one can benefit from their own wrong doing. What ever difficulties she is subject too is the results entirely of her own fraud. The UK has complied completly with the tenets of international law in the past and present. What the ideal would be is for Argentina to be properly punished for her clear wrong doing. “There are many people who see everything with the eyes of politics “ That would be yourself as you try to craft a political solution onto what is a totally legal matter. Why do you persist with your nonsensical non sequiturs? Your arguments have nothing to do with the real and actual position of the Falkland Islanders. You accuse Roger Lorton of intransigence - your persistence shows that it is you who is intransigent. Have you not realised that the almost total rejection by your opponents here of all your arguments means there can be no agreement with people like you. You are ridiculed by all of us because your arguments are so unsound - please bore us no longer! You really don't get it do you? You really cannot grasp reality. The islanders don't want to have anything to do with. They don't want to share their land with you. They don't want to be one of your British communities. They want to be what they are now. Argentina does not warrant compensation, although Argentina should pay both the Islanders and Britain for the losses of 1982. Argentina has no claim. Argentina has never had a claim. Try to grasp it Malvi - you are not wanted, at any level, in any way. The Falklands are a foreign country to you. They always will be. Nobody is afraid of talking, there is just nothing left to be said. The matter is settled. Argentina doesn't really want the Falklands. If it did, it would have pursued a policy that would have made the islanders feel that they would have something to gain by being argentine. Instead, Argentina continues its policy of tin-pot antagonisation, deliberate alienation, and ham-fisted threats befitting any other bankrupt sudaca backwater impatiently awaiting its next coup. There are more Brits living in Argentina than in the Falklands, but it's not the same thing. Plenty of Mexicans want to work in the US or even move there permanently, but how many would vote for Mexico to become part of the USA? Even though they'd be joining a richer, more stable country. I don't think the problem is that the Islanders are afraid of change. They're happy with how things are now, and since most of the problems they do have are directly - and purposefully - caused by Argentina, that hardly encourages a positive attitude towards the country. Before the war the islands were poor and undeveloped and Argentina had something positive to offer them, but that is not really true today. Combine that with the feelings created by the war, and revived by the previous government's hostile actions, and you get people who refuse point blank to negotiate. As for why they see the visit as a publicity stunt, probably because there have been a lot of publicity stunts held there in the past, and they have good reason to think anyone acting friendly has an ulterior motive. Those students (or their teachers) don't want an exchange just so they can meet people who live differently and speak a different language, they want to persuade them to join Argentina, or at least be more favourable towards the country. Do you know if they tried to arrange a meeting, or some kind of exchange, before they travelled? Because if they just turned up I am not surprised that the teachers refused. Not unless you count the one in my phone. But bringing a video camera does make it seem more like a publicity stunt, don't you think? Once they have filmed something, they can do whatever they like with the video. Apparently the Argies told the Falklanders when they arrived - uninvited - on 2 April 1982 Don't worry. Nothing will change for you. The simple fact is that under the UN Charter (which the Republic of Argentina signed on 26 June 1945) the people who live on the islands have the right to self-determination. Nothing can change that. Even shared sovereignty is possible for the tranquility of the islanders, Argentina is compensated and solves the problem for everyone. '...You see Malv, there is your problem, you don't understand that when you say everyone, you are really only speaking about Argentina. Why should tyhe Islanders give up their 'status quo' which they are happy with to appease Argentina. who have done nothing but bully the Islanders. You seem to think you have a God given right to own the Islands against the wishes of those living there. Until you can understand that they do not want you or your government or way of life, it is pointless. Why is it you seem to think that the only acceptable outcome from any discussions would be at the least shared sovereignty? That also goes for the C24, who seem to think that the only way to reach a peaceful settlement is to hand over sovereignty, Seems you will have to re-evaluate your 'imagined' rightful outcome if you wish to progress past the 'brainfreeze' of indoctrination. It is arrogance. Sheer, bloody-minded, arrogance. The average Malvinista cannot contemplate a world where their viewpoint is not accepted. It is why I refer to Malvinism as a religion. There IS a God, and he/she/it is the Falkland Islands. No amount of fact can impinge one iota upon the belief that their God belongs to them. Reality is a nonsense to be ignored. The pagan views of others are also to be cast aside. All heretical. There is only one perspective, and it requires complete obedience to the mantra, 'Las Islas Malvinas son Argentinas' - repeated ad infinitum. Malvinenes 1833 is a zealot. A high priest of Malvinism. He does not understand anything BUT that his point of view must win over all others. In some parts of the world they have radical Islamists; in others radical Christians; in Argentina they have radical Malvinists. They are all insane. The world would be the better without them. The Falkland Islands is a prosperous country, Argentina is not! Maybe the day will arrive that the Argentine people realise that they cannot continue to allow their country to be mismanaged by corrupt and inept politicians or by military men who know nothing about economics or, indeed, politics - military men are just taught to obey orders! If ever the day arrives that Argentina becomes a TRUE democracy and shows the world evidence that it has arrived at the top table then (perhaps) the people of the Falkland Islands can be seduced to realise where their destiny lays. In the meantime, Argentina should just go away and leave the Falklands Islanders to prosper and live their lives as they wish! Argentina, meanwhile, is a third (or even fourth} world country of no importance not even to its own citizens. The only colonial country is the United Kingdom that usurped the archipelago to the Argentine Republic. It is you that want to colonise the Falklands, against the will of the people that live there. The Falkland islanders are not implanted. They are not flown in by the UK to live there and flown back to die in the UK. The same Islands where Vernet's 22 settlers chose to stay in 1833. They were not told to leave, they were given the option to stay and their property respected. The settlers were not obviously that keen on being Argentines or they would have returned to BA. They wanted to become Falkland islanders . They did not stay on the islands to go onwards to the UK, they wanted to stay on the Islands. As the people born on the Islands, going back several generations, wish the UK to be present, that cannot possibly be colonisation. What would happen if Falkland Islanders invaded one of the Argentine false history lessons at school on the Falklands, armed with a camera, and documents disproving Argentina's lies about 1833? Would that dialogue be approved of? Or would the Argentine kids start firing up tyres? Argentina doesn't want a dialogue. What it wants is for us to listen to yet another of its monologues. Pssst... voicey...... the islands are British. Have been for hundreds of years. Ye know you can't do a fooking thing about it but weep and put silly slogans on the argie buses and frontier outposts. And in that we see not just arrogance but monumental silliness, banana-republic prattling, and childish self-delusion. ABSOLUTE ARROGANCE ....if you ask me. “sheer arrogance ...if you ask me…” Nobody did, but nice of you display your contempt for binding international law, and your fascist inclinations towards others lawful democratic rights. Is the greatest arrogance displayed on this thread. Nah...i think the greatest arrogance is your pretence of understanding international law... it's all merely advisory and unenforceable..
“it's all merely advisory and unenforceable..” While that is largely true it doesn’t make my post any less true nor lessen your contempt for what is right and proper. Nor does it make your utterances any less fascist. “...get a life…” part of it is blowing your BS out the water, which as a strategy has been more than successful. ...by successful... do you mean by part quoting other peoples opinions and claiming they are indisputable facts...? “…by successful... do you mean by part quoting other peoples opinions and claiming they are indisputable facts…?” Been a hundred percent so far, as you have been unable to refute such a position. As you’ve been unsuccessful in finding any apposing citation of comparatible stature, and all you offer is your unqualified and unsupported opinion. Just like a real ‘keyboard warrior’, just remember all legal judgements are opinions and thats a fact. Legal judgements or legal opinions given in majority decision are one and same and your sophistry can’t alter that . ”You blindly ignore facts in favour of folks opinions.” You mean the experts I use such as ICJ judges, legal authors et al. Exactly the same criteria as the ICJ uses. So why’ll you ply us with your unsupported opinion perhaps you can be specific as to what facts have been ignored. Otherwise its just your unsupported modest opinion. You can lug those ‘goal-posts’ all over the map but you’re not off the hook. Your assertions are exactly the as your others. Devoid of any supporting facts. In other words your entirely meaningless, empty unsupported opinion. As an example “There is no international yardstick to apply to the Falkland dispute.” the evidence if which is again only your opinion. You cannot provide one supporting legal view for such an assertion. So enjoy continuing to fail to meet your burden of proof. Somehow this news note seems to address Argentina's underlying problem associated with their Falklands obsession: mental illness. “I want Argentina to get over the childishness of feeling it is a victim,” he [ Alejandro Rozitchner] says. He argues that Argentines derive a “perverse satisfaction” from pain and failure, as expressed by the melancholy that characterises their popular tango music. Diego Sehinkman, a psychologist and journalist, likens Argentina to a patient with “borderline personality disorder”. That is, someone who is emotionally unstable and, in this case, often seduced by strong but also abusive partners, or leaders. I did that is why expert opinions and citations prove you’re incorrect yet again. OED judgement 6.6 The pronouncing of a deliberate opinion upon a person or thing, or the opinion pronounced; criticism; censure. The official and authentic decision of a court of justice upon the re- spective rights and claims of the parties to an action or suit therein litigated and sub- mitted to its determination. How long did it take you to finally find a quote that mentioned the word opinion...? Argentina didn't govern the Islands till Menendez turned up. So where was she this year? Did she miss the flight because not all her make up and uniform were on in time? Or did she miss the flight because the siesta was too long? A truly crap governor, as she hasn't even been to the Islands to do any work there. A true demonstration of 18th century colonialism from Argentina. Your claim of judgement vis-à-vis opinion as “Not one and the same” is clearly shown to be the reverse in this further clarification of the issue by this knowledgeable source: “Now one other note .. is the difference and uses between the term judgment in the United Kingdom and the term opinion in the United States. … Now from the House of Lords in the UK you would get a written judgment which would present the facts of the case and the court's rationale for reaching the judgment that they did reach on the particular matter. In the United States, the US Supreme Court would issue a similar document only it would be called an opinion, containing the same information, facts, rationale and ultimately the judgment or the holding in the particular matter before the court.” TransLegal; The Legal English Dictionary https://www.translegal.com/legal-english-dictionary/judgment You keep lying and I keep schooling you. Game ….. Set ….. and …… Match.